For the most part of her life Razia Kunj has been fashioning the success of brands. Be it creating logos and identity design for corporates or pack designs for some of India’s leading food brands or fashioning the look and feel of advertising campaigns. Today, Razia has turned her attentions to designing contemporary fashion. Her first foray in this outing is a line of jewellery that redefines the old art of personal ornamentation. A graduate in applied arts, she has worked as an art director in numerous advertising agencies in Mumbai, having created award-winning campaigns for leading Indian brands. 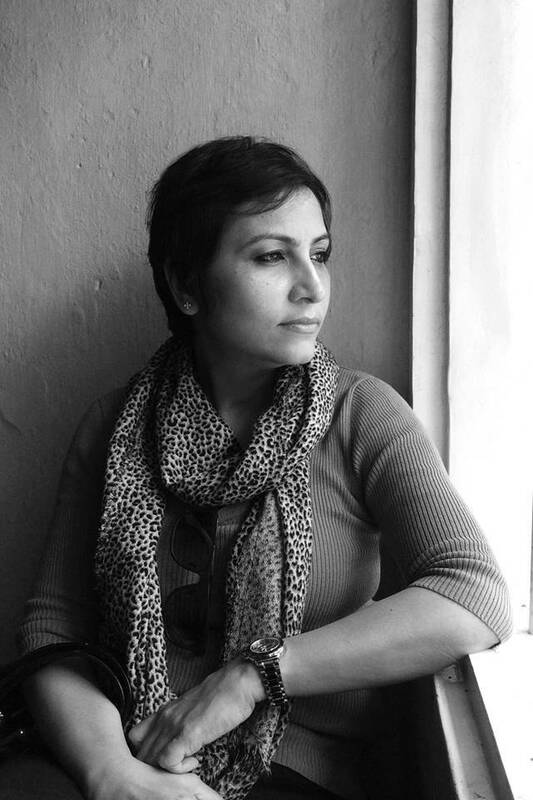 Having made a mark in the world of logos and graphic design, she started her own advertising agency, thought blurb, with her husband, Vinod Kunj. What started as a two people boutique creative hot shop in 2007 is now an award-winning agency spanning three cities – Mumbai, Delhi and Kochi. From as long as she can remember, illustrations and painting and colours have been a passion for Razia. Deeply influenced by the art and architecture of India, Razia has always attempted to make art a part of design. The large canvas held her in awe but it was always the smaller canvas that she excelled in. Wearable art continues to be Razia’s theme and she will be experimenting with more graphic forms. From recycling, to conservation, to pop art, Razia has a slew of ideas each of which will form an individual collection. She does not believe in mass manufacturing. So, each jewelry line has limited pieces, each of them painstakingly designed by her, hand painted and crafted by her team of artists. Art and Facts, her debut collection of bespoke jewellery is the culmination of a series of experiments with shrinking the canvas where art meets fashion. Why must art only be hung up in art galleries? Why must the finest graphic design be enshrined only within the walls of museums and temples? Why must street art only be on the roads? Art and Facts stands at the crossroads of art and everyday life. Razia’s intention is to take art from the walls of galleries and temples, from the pages of Indian folklore, from dance forms and tribal art, from forgotten nook and crannies of rural India and hand it to a woman as a form of adornment. So a Krishna can be playing a Basuri right under your ears, as an earring, while the doors of a Haveli open to the world in the form of a necklace.Wearable art continues to be Razia’s theme and she will be experimenting with more graphic forms. From recycling, to conservation, to pop art, Razia has a slew of ideas each of which will form an individual collection. She does not believe in mass manufacturing. So, each jewelry line has limited pieces, each of them painstakingly designed by her, hand painted and crafted by her team of artists.